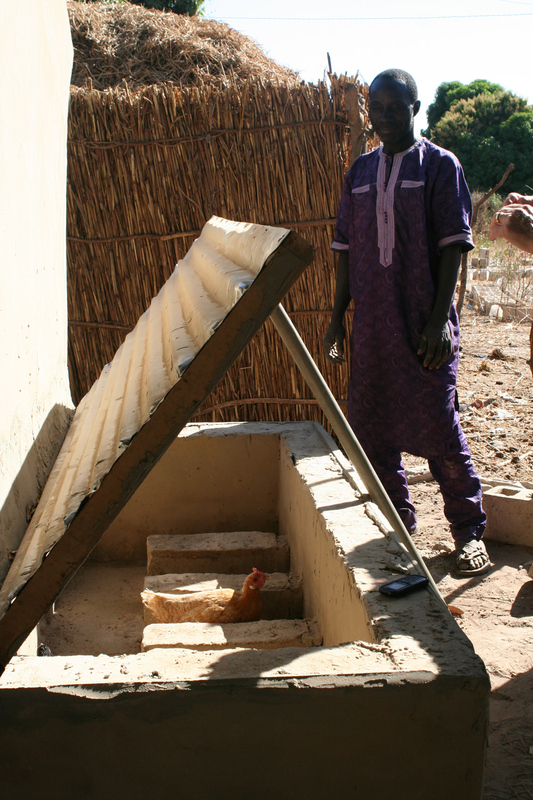 From January 10-11, 2017, SPRING/Senegal organized a two-day workshop on village-level poultry rearing for members of its agricultural partner networks. After the workshop, SPRING distributed chickens to member groups of several partner organizations to give them a chance to put their newly acquired chicken rearing knowledge into practice. 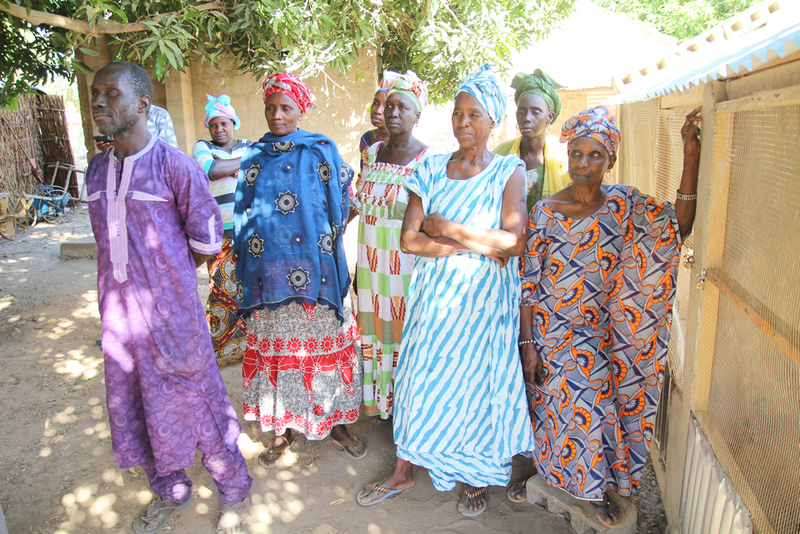 On the January 25, a SPRING delegation visited Nioro Alassane Tall Village in the Fatick region to participate in the chicken distribution to the local women’s group. The women’s group raised money to purchase the supplies to build a chicken coop according to a model that provides the chickens with the necessary space and divisions to promote good growth and laying patterns. 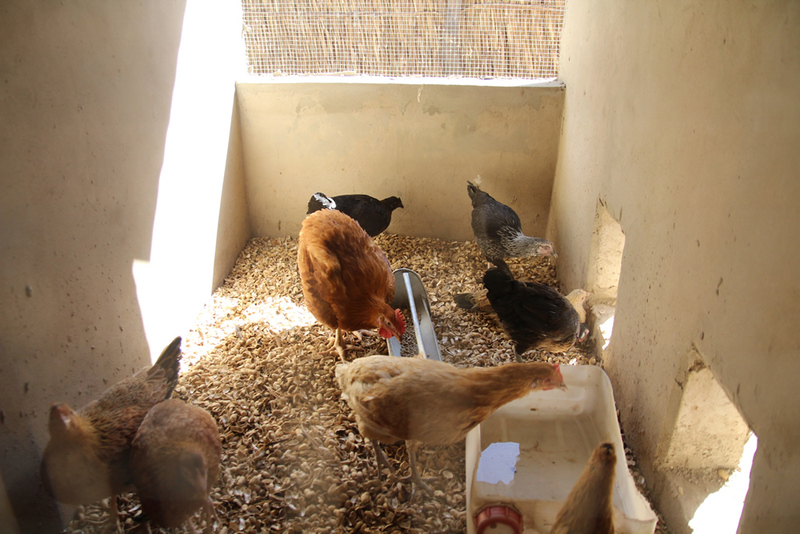 Local SPRING partner, YAKHANAL, also invested funds to support their members in the poultry rearing activity. The women’s group received nine hens and one rooster, and will share proceeds from the eggs, chicks, and meat amongst all members. 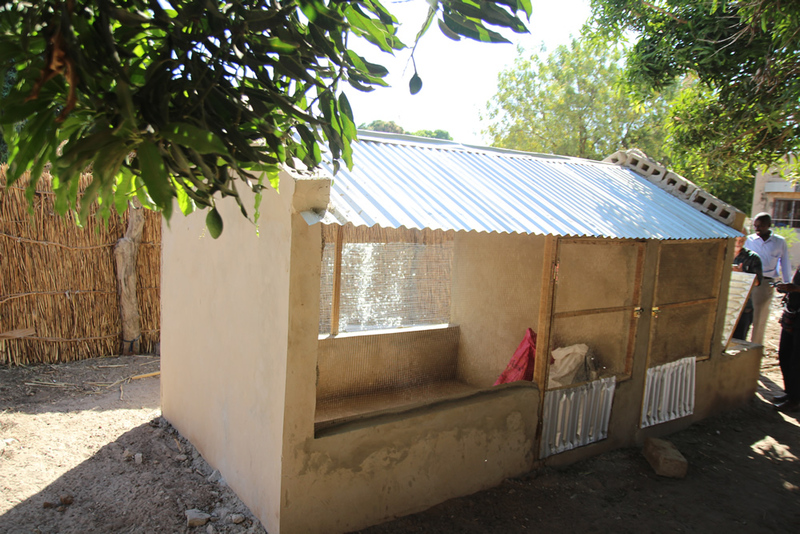 The chicken coop in Nioro Allasane Tall village was constructed according to SPRING/Senegal standards, using community-raised funds, as part of its improved village-level poultry rearing workshop. The coop design includes space for roosting and easy egg collection. Chickens feed in their coop. Groundnut shells make for inexpensive, readily available ground material. 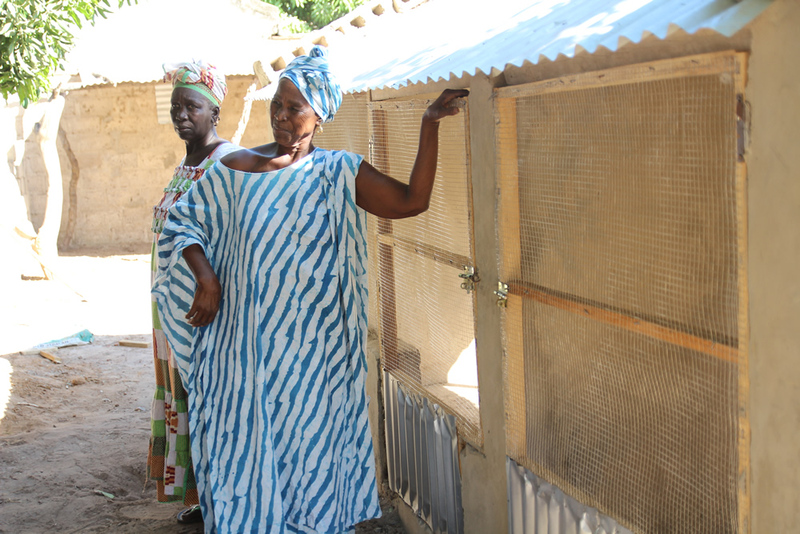 A leader of the local women’s group stands proudly next to newly constructed chicken coop. SPRING partner, YAKHANAL is a producer organization that supports local women farmer groups. A YAKHANAL representative paid a visit to see the women’s newly-received chickens. 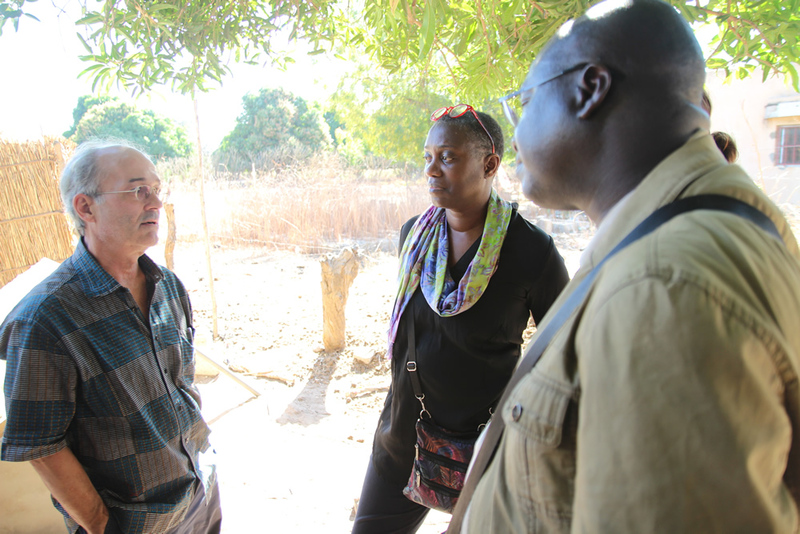 SPRING/Senegal Chief of Party- Bob de Wolfe, SPRING Director of Country Initiatives- Altrena Mukuria, and SPRING/Senegal Agriculture Advisor- Aliou Babou discuss next steps for the chicken-raising activity.